The past awaits us at every turn, threatening to topple the present. In the natural landscapes that have existed longer than humanity, in the houses and villages and towns and cities built by those long dead, in our own eyes, the past, filled with grief, regret, and sorrow, is willing to overwhelm us at a moment's notice. We only realize this when it is too late, when we find ourselves filled emotions we did not ask for and in lives we did not realize we were leading. Peter Bell's 'Strange Epiphanies' is a masterfully written and beautifully published collection of short stories that distill the emotions we confront when the past returns into sentences and stories that do not themselves go so gently into the past. Gorgeous prose rises slowly, immersing us in the lives of those who learn too late the power of the past to annihilate the present. This is an outstanding book of "strange stories" that defies easy categorization. The book consists of seven stories, two original to the volume, with many of the others substantially revised from their first appearance. Publisher Brian J. Showers, (author of the superb 'Old Albert: An Epilogue') provides a smart introduction that sets the scene but does not overwhelm the stories themselves. That would be difficult to do. Variety is a key aspect of the appeal of this volume. These are not all ghost stories, though you will find a ghost story here. The rest are merely ... strange, in the best of all possible manners. "Resurrection" starts off the volume, and gives an idea of the appealing aspects of the other stories. Amanda, on holiday, finds that her refuge is fraught with unease. Bell's description of the town and the hotel are filled with marvelous details, and he explores the history of the village with precision to evoke a feel of mounting dread. There are passages of description that sing of lovely beauty, undercut by regret, grief and fear. It's really quite an amazing prose performance. The rest of the stories live up to this high standard while evading almost any similarity. "M. E. F." is based on a true story and finds a grieving widower succumbing to the dark charms of the island of Iona. In "The Light of the World," a man imprinted by a powerful painting of Christ knocking at a door comes undone. An alcoholic woman on holiday manages to lose herself in "The American Writer's Cottage," while a most unpleasant doll speaks to a past best forgotten in 'Inheritance." Historical details and terrifying landscapes dominate "A Midsummer Ramble in the Carpathians" while "Nostalgia, Death and Melancholy" bring a man back to the site of his childhood summers, much to his regret. Bell finishes the collection with "Afterword: Mary Emily Fornario, A Historical Note," a work of non-fiction that follows up on "M. E. F." with all the power of Bell's fiction. Don't be tempted to read it first; it's the perfect chaser for this fine collection. 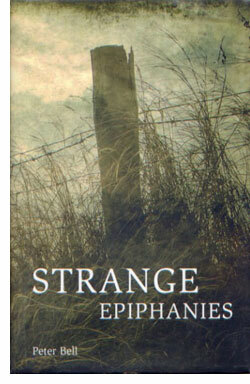 The Swan River Press has done a fine job of designing and printing 'Strange Epiphanies.' 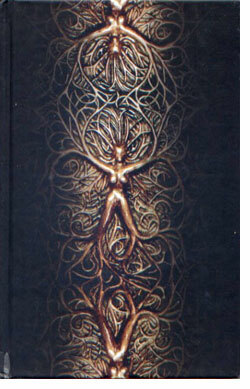 The appropriately haunting dust jacket image is by Ray Russell of Tartarus Press, while Andrea Bonazzi's "Ramifications," the image on the bound book itself, is especially creepy. The whole package creates the perfect vibe to read the stories within. Peter Bell is a powerful writer, and this book is well worth far more than you're going to pay for it, if you can find a copy. 'Strange Epiphanies' delivers what the title promises, and more; memories, a new past that you won't be able — or want — to erase.